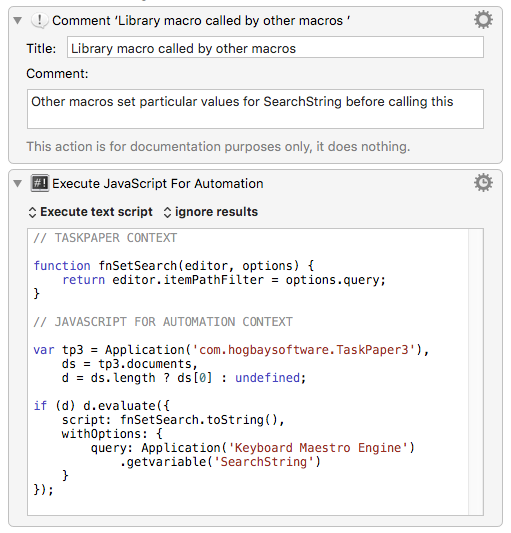 The @search tag approach to saving searches has many advantages, particularly the sidebar listing of available perspectives. 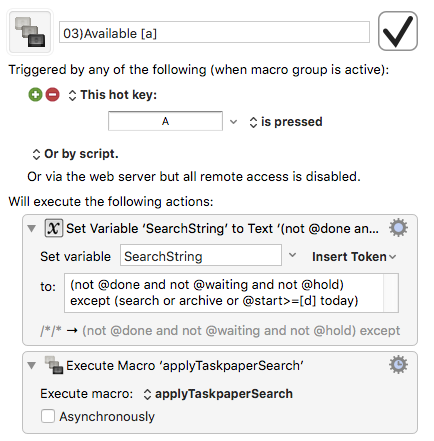 There are, however, also various ways of keeping all named searches in one place, and using them in any document, without having to paste any @search tags. 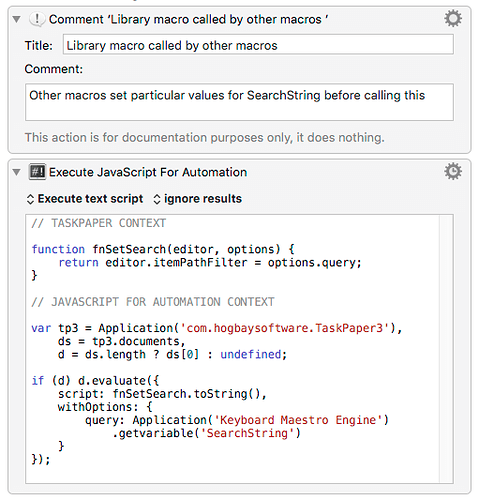 which maintain and use a text file list of named searches, (by default, in the same folder as the scripts). 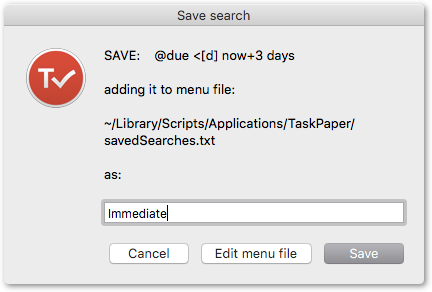 You can edit the text file directly by choosing it from the script menu, or test a new view in TaskPaper, and then save it directly, supplying a name for it, using searchSAVE. 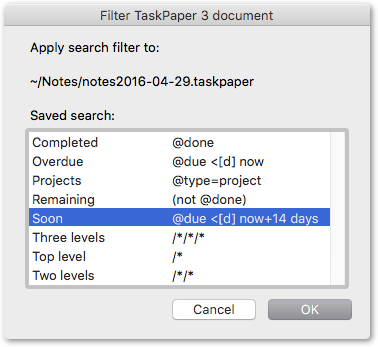 and applies the chosen search to the current TaskPaper 3 document. I accomplish this using a Keyboard Maestro search palette. Works great. 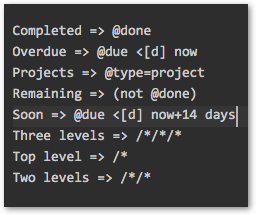 Good approach, especially for keyboard use. Right on. The Applescript version was a holdover from TP2. AWWWWW, thanks you guys. Didn’t really use KM for this, but now I am, along with this search pallette and it saves me time with folding everything up nicely since I have quite a few projects. Thanks again!